Our sincere thanks to everyone invloved with the Laketown Rock Festival for putting on such a fantastic party over the long weekend. 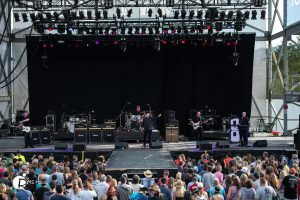 We were so pleased to be a part of such a great weekend of classic R&R featuring live sets from Loverboy, Trooper (Official), The Headpins, Honeymoon Suite, Glass Tiger and Prism amongst the many other talented artists and bands that performed over the three days. Have a fantastic weekend everyone and see you soon… Photo courtesy of Rob Porter and RMS Media. Prev Post: Happy Victoria Day long weekend! Next Post: Streetheart “40” Vols. I & II are here!